Carla Bruni in Montreal or Quebec City? Inform me about the next events for Carla Bruni. Enroll yourself to our priority waiting list for Carla Bruni to be alerted when new tickets are available. Filling this form doesn't engage you to any purchase. French superstar Carla Bruni is coming to Montreal on February 18th, 2018, for a show at L'Olympia de Montréal. Carla Bruni released her 4th studio album French Touch last October. The new disc features cover songs from various forms of pop songwriting in English : ABBA, The Rolling Stones, The Clash, Depeche Mode and many others. 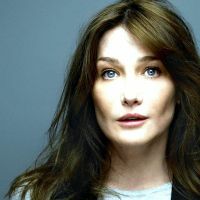 Don't miss Carla Bruni's first appearance in Montreal since 2014 !